Fall leaves photographed in Frankfurt am main in Germany, Europe. When the fall leaves are falling the mass of colours are overwhelming. This photograph is showing several fall leaves in green, yellow and red colors. This scnerey was photographed in a backyard of a house close to Frankfurt am Main. 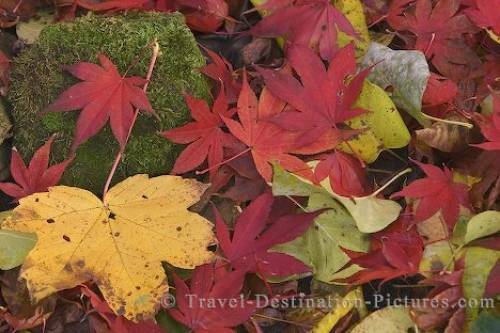 Photo of colorful red and yellow fall leaves photographed near Frankfurt am Main in Germany, Europe.